Back in 2005 one of our site members built a nice straight bar design similar to our EHBP-03 Straight kegger bar, but without the keg box. 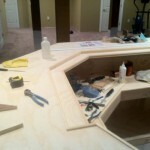 He used high quality oak lumber and plywood which produced the rich looking home bar shown below. The added trim boards on the corners and plywood seams create a simple raise panel effect. It’s certainly a nice job though, but this member knew he could do better! This is where the value of our unlimited access membership came in handy. Even after seven years had passed, he was eligible for access to plans that didn’t even exist in 2005. No added cost, no extra charges. After moving to a new home and left “bar-less” (the bar stayed at the previous home) it was clear that a new bar project was in order. So at no extra cost whatsoever he downloaded another plan set, this time the more advanced, yet still very easy to build EHBP-09 which is our 45 degree corner wet bar project. 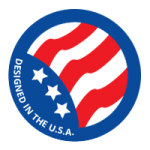 This time he went all in with our most popular project, the EHBP-09 45 degree corner wet bar design. It includes all the ergonomic features of a great home bar. It’s at about this point in construction that many builder’s get “stumped” due to the vast array of finish and trim possibilities. This is where our Builder’s Forum and Gallery come in handy. 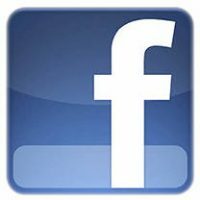 The forum will help you through any questions with the plans and the gallery will show you literally thousands of photographs showing projects in the process of construction. It’s an excellent source of ideas to kick-start you out of that slump and into the right direction for a perfect finish. 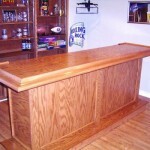 The result is a handsome, sturdy and fully functional home bar that will serve you well for many, many years to come. Once you open the stain can, you’re on the home stretch. This member has done an excellent job and he’s not far from throwing a grand opening party that will impress and entertain his friends. 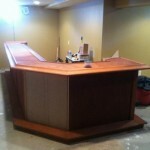 Look no further than Barplan.com for the best, most affordable DIY ideas and fully illustrated home bar designs.